A new set of flash by Justin. One painted for black and grey. The other in full color. 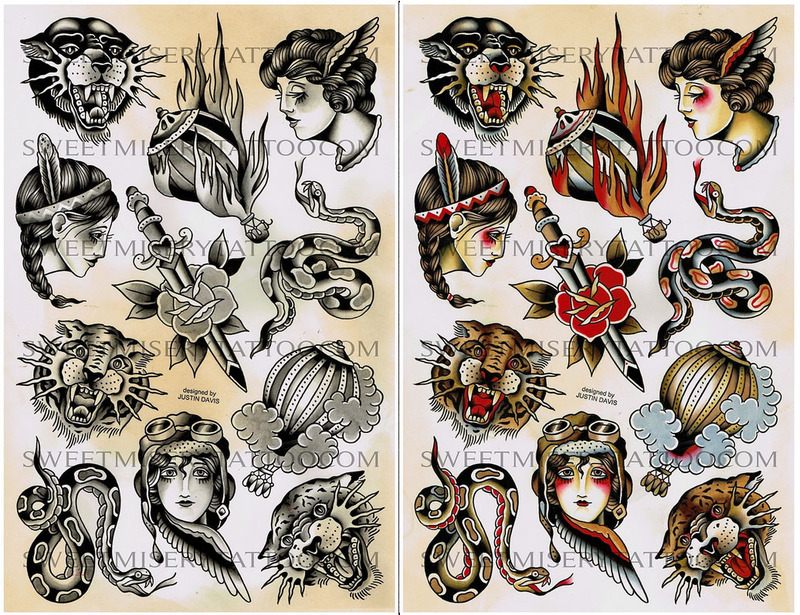 He’d love, love, love to tattoo any one of these on you. Contact Justin through this website, or sweetmiserytattoo@gmail for questions or to book.